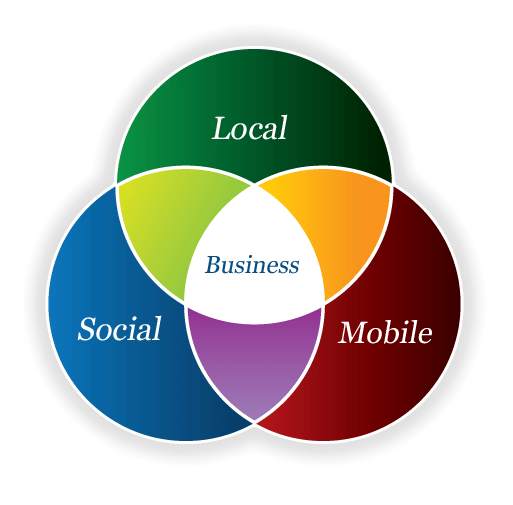 Social, Local or Mobiles ? Social Media presence on mobiles is important and most of us have taken a good note of it too. However, the hot topic of discussion among hoteliers and social media marketers nowadays is ‘SoLoMo’. It is a perfect blend of ‘Social, Local and Mobile’. The faster you embrace SoLoMo, the better will be your ROI. There are 3 reasons why SoLoMo is important. The tele-density (mobile connections per 100 people) in India was 73.78 in July’14. In 2013, India had 117 million smartphone users. 40% of mobile searches are for local businesses. 61% of young people refer the social media platforms to decide where to go when they go out. So whether your goal is to promote last minute bookings to tourists or fill up your restaurant during weekends or festive occasions, going SoLoMo is the answer. Now comes the toughest part. How can you embrace SoLoMo? (I have seen this happening with B&Bs and standalone hotels) Upload a few good pictures. And what more! Please ask your guests to review your rooms and restaurants on Foursquare. And also, don’t forget to promote your Foursquare presence in your hotel. Have a banner in the restaurant mentioning ‘We’re on Foursquare’, or may be a flyer in the room or front desk. This could encourage people to perform ‘Check-in’ on the App and even Facebook. This ‘Check-in’ will be visible to all the friends of the guest, thus giving you a big marketing advantage. The Eventility study showed that 73% of consumers search for discounts and promotions online. Regularly post about your discounts and offers on all social media platforms and on your website. Use the geo-targeted promotions by FourSquare or boosting option by Facebook to specifically connect to the local audience. In case, you are using Google Ads, try location targeting to get more out of your investment. Geo-fencing has also caught the fancy of Western marketers. It is the technique by which marketing messages are sent to devices within a particular radius. When you are going SoLoMo, smartphone and tablet optimization is what you should not miss. If your hotel website is not optimized across tablets and smartphones, users might migrate to a website which is optimized. Make sure you mention the exact address of your hotel on Foursquare and Facebook pages. Lack of exact address might deter tourists from dropping in. Also, make sure that you have listed your contact number. This will come in handy for tourists to find your place or maybe, even to confirm the reservation with you. It is also better if you can give your Twitter handle or link to your Facebook page on your Foursquare listing.